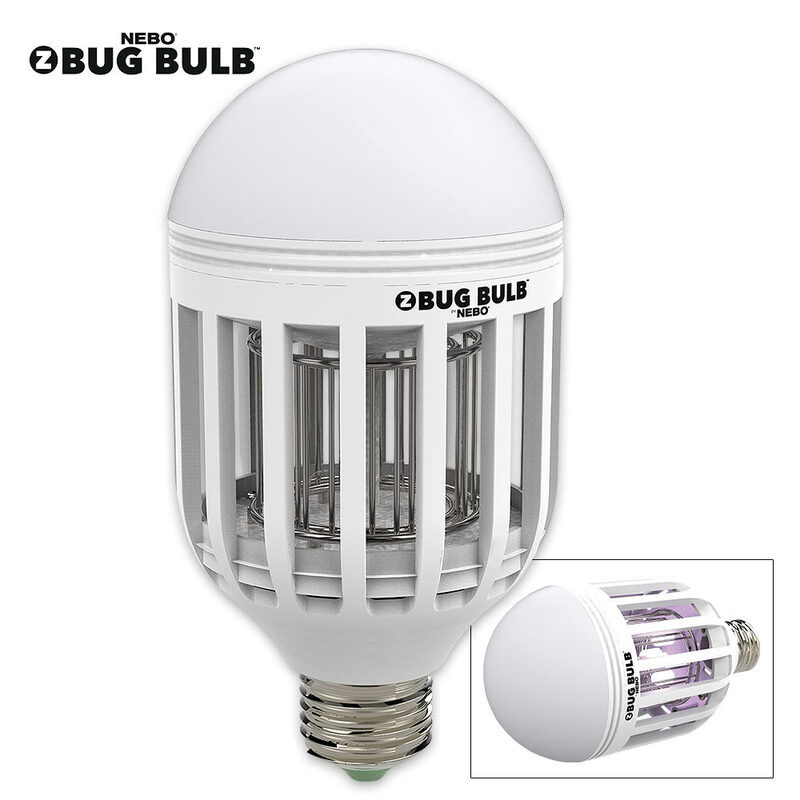 NEBO Tools Z-Bug Indoor/Outdoor Bug Zapper Bulb - Kills Insects; Provides Ambient Light | BUDK.com - Knives & Swords At The Lowest Prices! For use indoors or outdoors, Nebo Tools' Z-Bug Bulb illuminates any space with bright white, ambient lighting via its 600 lumen LED. The four NUV LEDs emit a 395nm near-ultraviolet glow, which mosquitoes and other flying insects find very attractive. 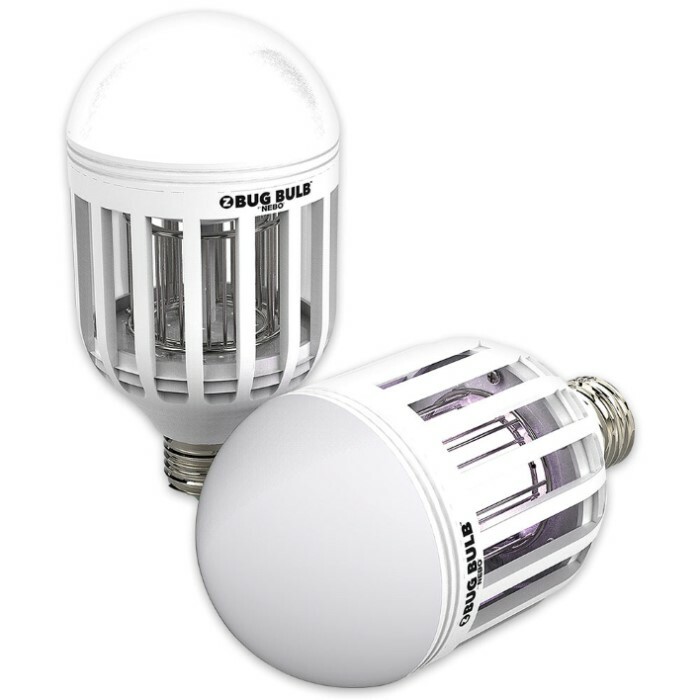 Surrounding the NUV LEDs is a 1,000 - 1,200V grid that kills the lured insects on contact. 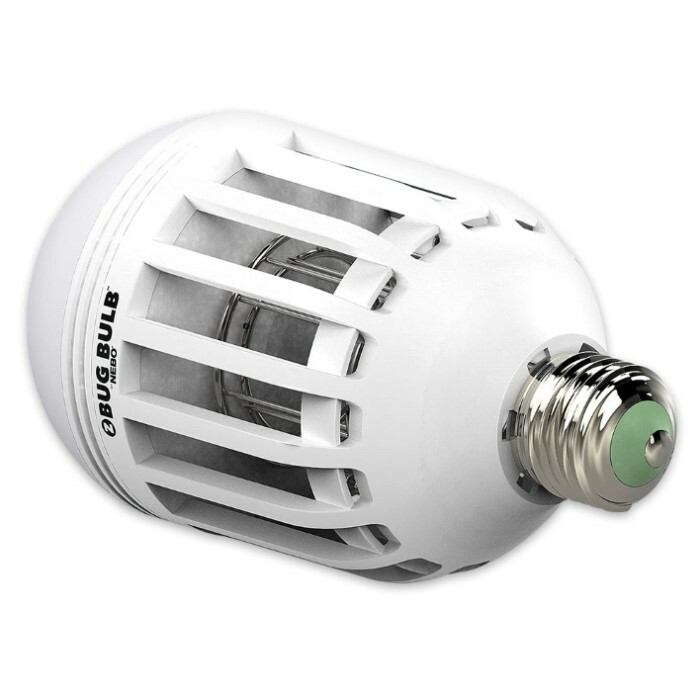 The Z-Bug Bulb includes the Z-Bug Bulb Sweeper to remove insect remains from the grid housing.